From the very first sentence of Johanna Adorján’s memoir An Exclusive Love (translated by Anthea Bell), you know the outcome. “On October 13, 1991, my grandparents killed themselves,” she writes, before embarking on a 185-page exploration of what that day and the ones leading up to it were like for her father’s parents. She imagines them undertaking tasks monumental and mundane, conversing with one another both impatiently and lovingly as they might do on any day, as they prepare to take their lives by overdosing on sleeping pills. A journalist at Frankfurter Allgemeine Zeitung in Berlin, Adorján also applies her reporting skills to learn more about who her grandparents were, through interviews with people who’d been close to them. There is something romantic and triumphant about a couple ending their lives on their own terms. Still, it’s hard not to get attached to Istvan, in his eighties and terminally ill, and Vera, in her seventies and emotionally ill-equipped to go on without her lifelong companion. As you near the end, you want them to change their minds, and live forever. SMITH sat down with Adorján recently to discuss her book; memoir in general; and Neil Genzlinger’s recent New York Times Book Review take-down of the category, in which Adorjan’s book was the only one of four books he reviewed favorably. An Exclusive Love is very journalistic. It made me wonder, do you consider the book a memoir? So much of it is your own approximation of your grandparents’ last day, and then a lot of reporting and interviews with other people. In the original German, they didn’t categorize it as memoir, and I didn’t give any thought when I was writing it to what category this should be. I knew it was nonfiction. I have the impression that in America this is a bigger issue, what side is a book on–fiction, nonfiction, memoir? In Germany, they only had to categorize it for the bestseller list. But I think that I am writing nonfiction. Even though one-third of the book is imagined. But you’re not passing that part off as gospel. No, it’s just a possibility, that part. Here in the U.S. there’s sometimes a big deal made about how “true” a memoir is. I tried to be as true as possible. I am a journalist. But in describing their last day, I had to use my imagination because no one was with them. So I used facts, but there are also things that I invented completely. My grandmother did not bake a cake that day, but I just wanted it to be there. It’s my truth about that day. There had to be this cake! It was interesting to me the way you acknowledged early on that your version of their story might not be 100 percent accurate. You wrote that you and your aunt “knew” that your grandfather had learned to sleep on his feet in the concentration camp, but you soften that assertion by adding, “whatever knowing means.” And then you also point out that your grandfather was released from a different concentration camp than he’d said, or that you’d thought he had. It seems you are subtly acknowledging that the veracity of even our own understandings of our stories is up for debate. I would also think, if somebody else from my family had written this story, it would be completely different. This is my view on that and on them. At the very end of the book, you have the police report about your grandparents’ suicide. It’s an interesting companion piece, this unemotional police report, next to your imagined piece where your grandmother is baking a cake and your grandfather is playing Chopin–it’s very effective the way you did that. Had you gotten the police report before you started writing the book? No. It’s strange because I always imagined that if I could get a hold of that, it would be interesting to put at the end, because it proves that it’s true. I could be sentimental or false, but it’s more objective. But I got it late in my research. I did the research first, I made notes, and I started writing. It was very interesting to get that because there were details I couldn’t have made up. For instance, they committed suicide in an apartment that was fully lit. Every light was on. So I could use that to have my grandmother go and turn on every light, and put flowers in the vases. All those details helped me to recreate their last day. I hope I didn’t write something sentimental. But this report is almost cruel in its unsentimentality. It mentions these death stains. I thought it was quite brutal, but they’re dead, so it makes sense. I like police reports. I’m amazed at the way that in so few words, they manage to really describe everything, while I use so many sentences to say the same thing. You portray your grandparents that day as being very unsentimental about it. Yeah, that’s my imagination about it. Who knows? This is the way I can cope with it. Who knows if in reality they had a different day and it was harder? But this was the way I could see it, and the way I could hear their voices, speaking dialogue. I heard a very sad story, and it makes this one a very happy one. My friend’s brother is an emergency doctor. He was called to a case where a couple had committed suicide together, but the husband survived. And the doctors take an oath that they are committed to saving lives, so they had to save him. They knew he wanted to die. My friend’s brother said it was the worst job of his life having to revive him. In that respect, this is such a happy story, to have it as they planned it. In your memoir, you write about yourself only slightly. You examine the similarities between yourself and your grandmother, which you learn about through talking to people who knew her. You think about whether you’re unloved or unlovable, the way your grandmother saw herself. You explore your Jewish identity and what it means, and your dating life through JDate. Was that little bit of self-exploration the motivation for writing it? The motivation was I wanted to be able to imagine, in the most accurate way, the last day in their life. That was the motivation. I put myself in it–I had the feeling I had to–because it’s not really fiction. It’s nonfiction. It’s imagination based in facts. I felt I had to explain where I am in the story. So I just put myself in there a little bit as necessary. In that way, you as a character anchor the story. Yes, in the part that is based on the present. The rest is either recent history, or further back in history. So there are layers of time: the present, the last day of their lives in 1991, and then much further back in their history. I mention this because of something Neil Genzlinger wrote, relating to your book, in his New York Times Book Review essay excoriating the memoir category. 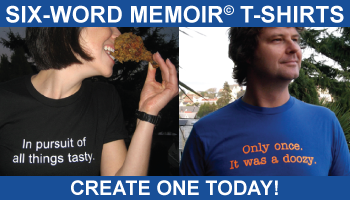 You are one of four memoirists featured. Well-hidden, at the end! The only one he liked. I was so upset by that piece. I happen to have the most popular comment on the online version of that article. I just love memoir. And I thought, here’s a guy who hates memoir. I wondered what your take was on his piece. Not having read the other three memoirs, I just focused on what he said about mine. But I didn’t quite understand why, if you don’t like memoirs, there is just one exception included. I mean, that’s very nice. But couldn’t he just have written about my book? I mean, I’m very flattered to even be mentioned in the New York Times. I am flattered most of all. One of the things Genzlinger wrote, using your book as an example, was, “If you still must write a memoir, consider making yourself the least important character in it.” Yours works so beautifully that way, but as a general rule, that struck me as bizarre. What do you think of that as a general rule–that memoirists shouldn’t write their books so much about themselves, but about other people instead? Well, I don’t believe in general rules for any kind of books. To me, it’s all about style–style even before the story. You could have the greatest story in the world, but if you don’t tell it well, it’s bad. Not long ago I interviewed Nick Flynn, and he said, “Memoir is actually the most egoless genre, even though it might seem ostensibly so much ego-driven. In order for it to succeed, you have to dissolve the self into these larger universal truths, and explore these deeper mysteries.” What do you think about that? Still, you have to feel that what you are telling is of interest or importance to other people, so in that way, you need an ego to be a writer. But I’m very bad at generalizing. It took five months to research it, and five months to write it. But I also had my newspaper job. So I just did it in the morning. I was very glad to have it limited like that because I was writing about some very heavy themes–suicide, the Holocaust, emigration, the Korean war. I was happy to work on it just for a short while. It took me so many years after their death to realize this could even be a book. I guess the story had grown inside of me, and I just wanted it out. The actual work was quite quick. It wasn’t difficult to find the structure. Did any of the people in your family object to your writing this, or feel sensitive about it? Sensitive, yes. Most of all, my father and his sister, they felt of course sensitive. My father helped me a lot. He went with me to the concentration camp, and he accompanied me on some of the interviews, sat there and listened. So in a way it was interesting for him to know whether I might be able to fill some gaps. No, they didn’t. I wouldn’t have done it if they did. I asked. My father was the first reader. My aunt was the second reader. What was the hardest part about writing the book? I mean, there’s some really grave material. I found it hardest to read this book, Final Exit, that they had used, a manual on how to commit suicide. My aunt told me, “Do you know about this book?” So I ordered it. This felt really spooky–this powerful book that killed my grandparents. But then I opened it and it described this method of gassing yourself with a plastic bag? And then I thought, “My grandfather should gas himself after surviving a concentration camp?” But then I came to see it as just a book, just words. It doesn’t force you to kill yourself. It just would be of help for people who decided to do so for their reasons. I can see beauty in it. I can see it as a love story and a self-determined way of living, and being also inseparable in death. Of course it’s sad for the people left behind–much sadder for the children than the grandchildren. But it’s a very powerful act of saying, “We are not going to separate.” They died exactly the way they wanted to. I think it’s very brave when people can see it that way. My grandfather would have died within weeks anyway, and I can’t see my grandmother surviving as an old lady of now 91 years. It didn’t suit her. This is the ending she chose, and it really fit her character. So I think it’s also a very beautiful story about being together forever. Finally, Johanna Adorján, what’s your Six-Word Memoir? Born in Sweden. Lived ever since. READ an excerpt from An Exclusive Love. READ the New York Times piece about memoir. Why had I picked up this book at Union Square and why did I read it within a few days, interrupted only by my work? The last book I read was Keith Richards’ memoir, before that an old book on Rimbaud - books on creation, pursuit of wild dreams, devouring life, not escaping from it. But I am also Hungarian, with roots in both Jewish and German lands, who left his childhood world of Kaposvar, Pecs, Budapest, just like Johanna Adorjan’s family, and so — with the reluctance of someone who does not want to face an old love, yet cannot resist to see her, I took the book and started to read it. Not the book of a wordsmith, the wizard of language but a sincere one — and as all sincere art it transpires art itself, carries the reader beyond literature, thus giving me, too, much more: blue light shed into a very deep layer of human fate and existence. What, after all, our life is being spent for? To me this is the book’s real question, though absent in the text, as what counts is mostly unspoken. So the book presents two lives, the author’s grandparents’, born into middle class comfort, maids and cooks, bright future, recitals and summer vacations — just for one to merge into the horror of Mauthausen and the other one to a scene where killing at the riverbank was the routine of the day, but they both emerged, alive, soon to live the life of the privileged — but in a new world built on lies and a different style of horror, heading the apocalypse No. 2 within a span of barely 12 years. Then finally escape from the madness. And from that on everything is quiet. Nice and clean life among the Danes, truly one of the best stock of mankind. But could this escape cancel the past? Could it straight what was broken? erase the memory of blood? None of this was confronted by the writer, apparently gifted, beautiful, well-raised — until these two lives ended in suicide. Jews above Jewishness, listening to Wagner, connected to each other with the most what human life can offer: love, the kind that endures, for which sacrifice — be it the ultimate one — is not more complicated than paying attention to the details of a breakfast for the other. So, to me at least, this book by Johanna Adorjan is much more than the account of a suicide, more than a grandchild’s tribute to her beloved grantparents, more than confronting Jewish experience across two profoundly different centuries — it is about nothing less than the organic, inseparable, eternal oneness of tragedy and love. Johanna Adorjan’s memoir is not limited to just one family’s story, it opens up discussion of a much greater scope: suicide among Holocaust survivors and European Jewish identity and assimilation before and after the war. She writes with remarkable clarity about a personal and tragic family history, without allowing sentimentality to get in her way. interested parties who read your blogs surely like your content and opinions.